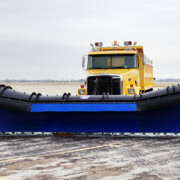 When winter weather makes it difficult to keep runways clear, St. Louis Regional Airport has a 22-foot solution. 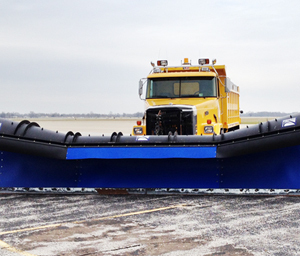 The airport purchased an additional snowplow in 2014, this one with a 22-foot blade. “Since Regional is the only major airport in the area completely above the region’s flood plains we take our commitment to being an all-weather airport very seriously,” said David Miller, airport manager. “We get snow off the runway as fast as it comes down.”The massive 22-foot blade of the snowplow will certainly be an advantage in case any major snowstorms come our way this winter. And with the runway at St. Louis Regional being large enough to land any plane ever built, it is good to be prepared for anything.